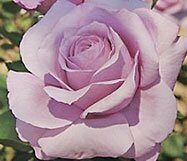 Rose care includes early spring pruning, fertilizing, watering, and in the colder zones, protecting plants for the winter. Roses will give you lots of flowers if they have enriched soil and full sun, but if yours is a rose bush just getting established, don’t expect lots of blooms in the first summer. Remember the key to success: roses need at least six hours of sun a day to really thrive. Pruning: Prune when growth begins, usually when forsythia shrubs are in bloom. New roses: Cut them back to three strong canes 4 to 6 inches long. Established roses: Cut dead or diseased shoots to ground level. Remove crossing shoots, leaving three to six thick healthy canes, and cut these back to live wood. Make cuts with sharp shears, about 1/4 inch above an outward facing bud. 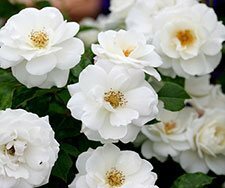 Fertilizing: Roses thrive on organic fertilizer sources such as fish emulsion, or a couple of shovels of finished compost, or well-rotted manure. Give newly planted roses their first dose of fertilizer after their first period of blooming. Feed them a second time before peak of bloom in June and a third time in mid-July, but no later. Watering: Give each rose bush two gallons of water at least once a week. To prevent fungal diseases, avoid wetting foliage. Deadheading: To promote more flowering of repeat bloomers, cut off spent flowers using sharp pruners. Make your cut just above an outward facing five-leaflet leaf on a cane that’s strong enough to support a new flower. Cutting back and cleaning-up:Around mid-October in colder zones and toward the end of October to beginning of November in warmer regions, cut canes back to about three feet in height and clean up dead leaves. Then follow climate zone instructions below. In all cases, remove winter protection when buds begin to swell in spring. Zones 2 to 4: When ground is partially frozen, place a collar around each bush and fill with mix of soil and peat moss to a depth of 16 to 20 inches. (Bring in soil, don’t use from bed.) Water well, then cover with straw or wood chips. This will keep bushes frozen until spring. Zone 5 and 6: Mound soil 8 to 12 inches high around bushes. When ground is frozen, place leaves or evergreen boughs over the mounds for further protection. Zones 7 to 9: You don’t have to cut the canes as far back – only to about 3 to 4 feet from soil level. Winter protection is generally unnecessary in these zones, but for less hardy cultivars, mound soil around the canes to a depth of 8 to 10 inches.